The right ring can be the perfect expression of personal style or a symbol of love. As a family jewelry store offering high-quality rings in Charlotte NC, Ballantyne Jewelers is committed to meeting or exceeding your unique needs. We offer the latest looks from Simon G., Gabriel & Co., and other leading designers. 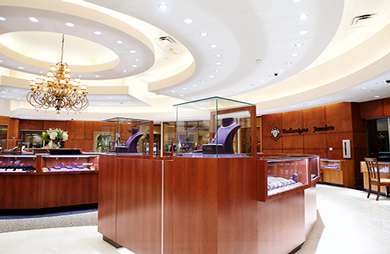 Our knowledgeable, friendly staff is here to help you just choose the right fashion or engagement ring. From classic yellow gold styles to trendsetting designs in rose gold, Ballantyne Jewelers wants to be your source for rings in Charlotte NC.